Playing for Keeps After months of hiding their engagement to promote a farcical PR relationship tied to Cameron's new movie, Sarah is struggling to remind herself of the benefits of the plan – if only she can make it that long. Having just about reached their breaking point, Cameron proposes a romantic weekend away to re-connect with one another but their boss has a better idea: a two-week trip away from the prying eyes of Hollywood and the PR team’s aggressive gossip machine. Once out of the Hollywood spotlight, Cameron reverts back to the loving, attentive man Sarah first fell in love with and idyllic days spent hiking, biking, and surfing lead to sensual nights wrapped in each other’s arms. But when a gossip columnist viciously pegs Sarah as “the other woman,” they’re forced to acknowledge the reality of their situation. Vowing to beat the studio at its own game, Sarah and Cameron openly flaunt their relationship, knowing their actions may mean giving up the careers they both love. With help from some new friends along the way, Cameron and Sarah re-discover what matters most as they work to find their happily ever after. Caudill Rebecca read her first novel when she was just four years old and has been hooked on books ever since. When she wasn't writing her own stories, she was sneaking copies of her mom's paperbacks to read late into the night. Fast forward a few years later, and she graduated from the University of Pittsburgh with a degree in Journalism. After a stint working in radio, she embarked on a career in technology public relations in Silicon Valley, representing some of the country's hottest start-ups and publicly traded companies. After more than a decade in the business, she began writing full time. In addition to the Her Confessional contemporary romance serial, Rebecca is also the author of a paranormal romance that begins with A Time Apart: Book One of the Macauley Vampire Series about a woman whose destiny is with a centuries old vampire. The sequel, Blood of My Blood, will be released this fall. When not creating fictional worlds inhabited by strong women and dashing heroes, she is reading about them, planning her next vacation, trying out new recipes, or drinking a dram of Islay whisky. 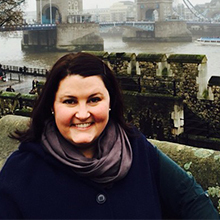 Rebecca lives with her husband in Oakland, California, but is currently planning a move to Dublin, Ireland. I wanted to be happy again. I wanted him to be happy again. Not for the first time I feared we’d never find that happiness together. Not true happiness, at least. I couldn’t say how long we stared at one another, and who knew what was going through Cameron’s mind since he’d been using that blank mask more and more in my presence – the one that allowed him to go through life with no one knowing what he was feeling – but I knew what I was feeling and I was tired as hell of keeping it locked up inside, where I feared my love for him would wither and die if something didn’t change, and soon. There, I’d said it. No more polite utterances in in the morning, no more cordial but cold hellos and goodbyes as we passed one another in the hallway en route to our next meeting – or increasingly often, off to spend time with Jillian. I was willing to lay all of my cards on the table, make him talk about the distance that had grown between us, make him confront his feelings. If it turned out the aloofness that had cropped up between us had made him question his love for me, his commitment to us – if it meant that I was going to lose him – then I’d have to face that truth sooner or later. With these thoughts rattling through my brain I came to the realization I’d been fearing the worst for awhile, that I had lost faith in our love for one another. It broke my heart, a physical pain taking root in my chest. I dragged my hand from Cameron’s arm to rub at the sore spot in the middle of my sternum where that tight hard knot had made itself known more and more frequently. I recognized that the pain was only the physical manifestation of my stress, but I couldn’t help but think that lately I’d only had them when I looked too closely at our relationship. His words were a soothing balm. The chance to spend some uninterrupted time together was exactly what we needed. “I can definitely swing it,” I replied without stopping to consider my schedule or the ramifications of taking time off even if it turned out not to be a convenient time. I stood up from my chair and wrapped my arms around him, something I hadn’t been able to do in many days. I felt his arms flex against my body and soon he had wrapped his arms around me as well. I leaned my head against his chest and just savored the feel of being in his arms again after what had felt like such a long absence. “I was thinking we could drive up the coast next weekend, get a room somewhere, and just spend a few days reading, relaxing … doing other things.” I heard the smile in his voice when he spoke that last part and I had to smile right along with him. “Having you all to myself for more than a couple of hours at a time is going to be such a luxury that I have no intention of spending that time reading or relaxing. I was thinking of a much more physical sort of getaway, one with lots of … hmm … riding,” I said into the center of his chest, a secret naughty smile shaping my lips. When he took in my meaning I felt his laugh rumble underneath my cheek and he squeezed me just a little bit tighter.